Earn $2.88 in Rewards credit (288 points) What's This? 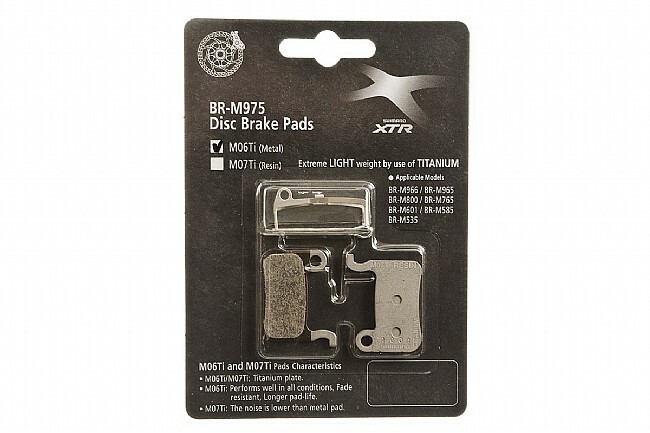 Shimano's M07Ti Disc Brake Pads feature Titanium plates and your choice of resin or metal pads. Resin offers quieter performance, weight savings but a slightly shorter service life compared to metal pads. Includes two pads to retrofit one caliper.